Will companies trust their communications to A.I. chatbots? SAN FRANCISCO -- Facebook says chatbots will change the way businesses communicate with their customers, but will businesses want to put their user communications in the hands of artificial intelligence? "They're a powerful tool but they're also a big risk," said Brian Blau, an analyst with Gartner. "A.I. can be a very powerful technology. Businesses are going to have to understand how to harness that power. There are reasons to be worried about it. Because we're giving chatbots the power to act on our behalf, they're taking on greater importance." Blau said he expects businesses will trust chatbots eventually, but that it will be a "measured adoption" since brands are always concerned about their perception in the marketplace. Mark Zuckerberg, co-founder and CEO of Facebook, officially took the wraps off chatbots during the opening keynote of the company's annual F8 developer conference Tuesday. He said CNN and 1-800 Flowers will be among the companies using chatbots, which are programs that use artificial intelligence to simulate a conversation with a human. Chatbots will be used on top of Facebook's Messenger platform, enabling 1-800 Flower customers, for instance, to order and pay for flowers using the chatbot right inside Messenger, instead of opening a separate app or calling the company. 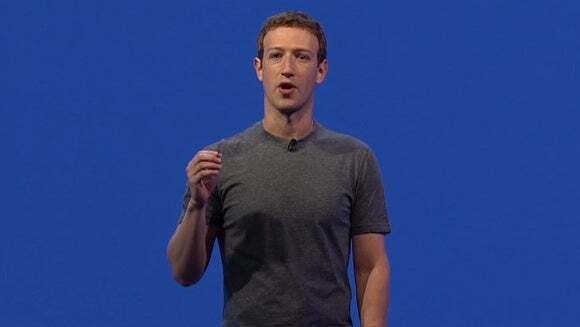 "Now to order from 1-800 Flowers, you never have to call 1-800 Flowers again," Zuckerberg said during his keynote. "Who likes calling a business? And you shouldn't have to install a new app for each business you deal with. There's got to be a better way." Conference attendees were urged to envision using chatbots inside Messenger, and possibly one day inside Facebook ads or elsewhere on the platform, for such tasks as ordering pizza, asking a company questions and complaining about a product. But will an enterprise trust an A.I. system with something as sensitive and valuable as customer communications? While A.I. is used in everything from Apple's Siri to Google Maps and Facebook's own News Feed, many people are fearful of artificial intelligence. And many who aren't fearful are at least untrusting. Take, for instance, Microsoft's public, and unsuccessful experiment with an A.I.-fueled chatbot, dubbed Tay, that was designed to communicate like a teenager. Late last month, it made headlines for spewing racist comments on Twitter after "learning" new language from people interacting with it online. What, some ask, would happen to a company's reputation if something like that happened with a business chatbot? Jeffrey Hammond, an analyst with Forrester Research, said some companies will be hesitant – with good reason. "But they should also be concerned about unengaged humans, too, or the phone call that gets 'disconnected' after you've been on hold for 10 minutes," he said. "I think a process of using A.I. for the repetitive request, backed up with real humans to handle the complex stuff is what most brands will start with. Over time, the A.I. will get smarter, allowing humans to concentrate on complex tasks." Eyal Pfeifel, co-founder and CTO of Imperson, an Israeli-based company that has built chatbots on the Messenger platform for Disney and Universal Studios, told Computerworld that businesses did have concerns about using A.I. to converse with customers. "Definitely. Businesses don't want an A.I. to make a mistake," he said. "If we could convince Disney, which is very careful about their communications, that means we are doing something very authentic … We have to show them that this will not harm their reputation." Hammond added that before jumping in, there are some things companies need to keep in mind when they decide to use chatbots. First, don't try to fool the customer. Be upfront that this is a chatbot experience. "It's a learning experience," Hammond said. "Start simple, be helpful, and focus on building good flexible grammar." Blau said enterprises need to remember that all of the responsibility for how their chatbot behaves will lie directly on them, and they need to take the necessary precautions to make sure it's a gain for the company and not a public black eye. "One of the big risks right now is that there are not a lot of best practices on how to do this," Blau added. "Businesses have to write the code and put processes in place to manage that customer conversation … We don't know yet how much infrastructure a business has to put around a chatbot to make it work right. How do you speak to a customer? How fast or slow do you answer someone?" While he has no doubt that companies will adopt chatbots, Blau cautioned them to put some serious thought into them first. "Best practices around normal situations, like a customer returning an item, are tough enough, but how does a chatbot respond when the customer wants to return an item but is on vacation on an island where there's no shipping? The bot may not solve the problem, but it needs an appropriate response like, 'I hope you're having a great vacation. Call us again when you get home.' "